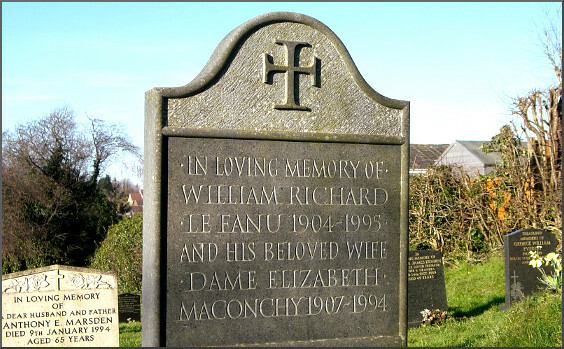 In 2007 I made a modest pilgrimage to the grave of Elizabeth Maconchy and wrote a tribute titled How important is a composer’s music? from which the photo above is taken. On An Overgrown Path was among the first blogs to draw attention to Elizabeth Maconchy's music, and over the years many other women composers have been featured here before their 'discovery' by the twittering classes. If today's post simply repeated my 2007 article it would undoubtedly generate a large readership: because Elizabeth Maconchy and her peers are currently enjoying the attention of classical music's monkey mind. Monkey mind is a Buddhist concept evoking capriciousness and inconstancy. Elizabeth Maconchy's music, like that of so many other musicians female and male, undoubtedly deserves attention and I commend it strongly to you, particularly her quartets. But what disturbs me is the damaging power of that monkey mind which flits capriciously from one next big thing to another - El Sistema to Gustvo Dudamel to Sinfini Music to Joyce DiDonato to Simon Rattle to a new London concert hall... And as yesterday's big thing disappears into the sunset another and yet another gallop over the horizon accompanied by much twittering. This blog has been exploring overgrown paths for thirteen years and my professional involvement with the internet started ten years before that. In its early days the internet offered the promise of an information spotlight radiating a warm glow of understanding to illuminate a long tail of deserving intellectual endeavour. But what has happened is that the information spotlight has become ever more capricious and narrow in its focus, leaving the areas beyond it enveloped in the darkness of ignorance. It is fashionable to blame Mark Zuckerberg, Jeff Bezos, Larry Page and other new technology pioneers for our growing disillusionment with the internet. But we are shooting at the wrong target. The denizens of the 'net - and that is all of us - are to blame. The much-vaunted online hive mind has become no more than a monkey mind addicted to a frantic online for the next big thing. If there has been any aspiration underpinning my exploration of overgrown paths it an ambition to shed some faint light on the many overlooked and valuable little things that remain plunged in online darkness. It was in that spirit that I wrote my recent post making the case for the great Egyptian singer Om Kalthoum, and this post will again try to offer some marginal illumination by highlighting little-known musicians who are working to keep Om Kalthoum's legacy alive. The celebration of composer anniversaries is one of the many manifestations of classical music's monkey mind, and, as a result, anniversary celebrations have become a key feature of recent BBC Proms seasons. Proms initiatives exploring the outer reaches of art music such as Oklohoma! have met with widespread approval; however it is unlikely that when the programme for the 2018 BBC Proms is announced on April 17th it will include an anniversary tribute to Om Kalthoum who was born on December 31st 1898*. The absence of a tribute would be a missed opportunity: because a celebration of Om Kalthoum's artistry would not only contribute to the Proms acclaimed pledge of gender equality, but it would also be a much needed step towards ethnic equality. An Om Kalthoum tribute would also, incidentally, allow the Proms to tap into one of art music's largest markets. One reason for the diva's continuing popularity is that her recordings found a new and large market in the 21st century among young second generation immigrants from North Africa living in Europe. As a post last year reported, the music market among the world's population of 1.8 billion Muslims world is forecast to reach US$1.4 billion dollars in 2019, and two-thirds of Muslims are under the age of 30. 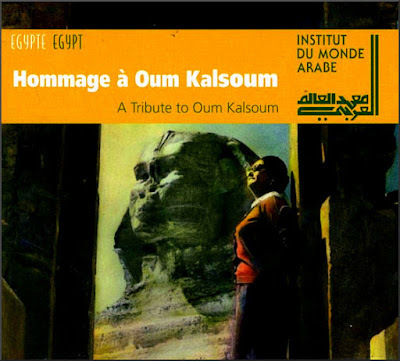 Sales of Om Kalthoum's recorded legacy makes a significant contribution to this market, as her recordings are estimated to still sell around a million copies a year. Clearly a major obstacle to any celebration of Om Kalthoum's art is that her magnetic stage presence died with her in 1975. However there are worthy carriers of her flame. In 2001 the Institut du Monde Arabe in Paris mounted A Tribute to Oum Kalsoum (transliteration gives many alternative spellings for her name) and the concert was repeated at the esteemed Les Orientales festival at Saint-Florent-Le-Vieil, a festival that was featured in a 2009 Overgrown Path post. At these concerts Karima Skalli from Morocco, Abir Nasraoui from Tunisia and Riham Abdelhakim from Egypt explored the great singer's legacy. The now-deleted CD seen above was recorded at the concerts and issued on the Institut du Monde Arabe record label. Accompanying the singers is the National Arab Music Ensemble of the Cairo Opera - where Aida received its world premiere in 1871 - conducted by Selim Sahhab. One of the best-known contemporary champions of Om Kalthoum's legacy and a natural for the Proms is the Tunisian singer and musicologist Dorsaf Hamdani. 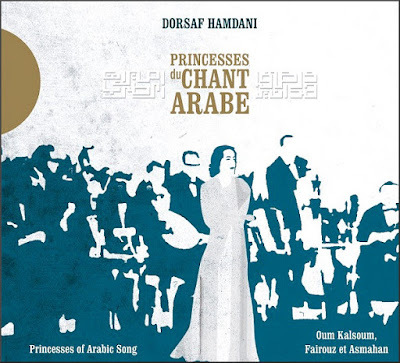 Her CD Princesses du Chant Arabe from the Accords Croises label seen below combines songs from the repertoire of Om Kalthoum with those of two other legendary Arab divas, Fairouz from Lebanon and Asmahan from Syria. 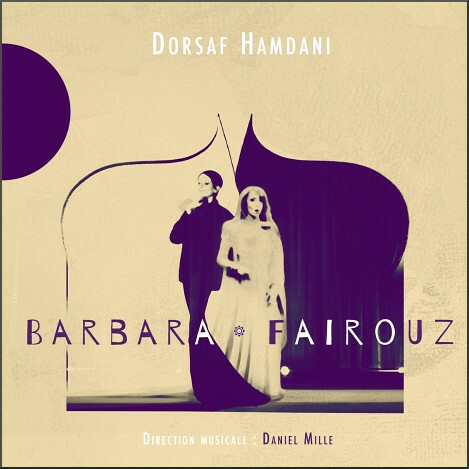 Dorsaf Hamdani's versatility is also showcased in another CD that is a personal favourite, Barbara & Farouz, which juxtaposes songs made famous by Fairouz with those of the French singer Barbara. After 12 years I have at last found something that Norman Lebrecht and I agree on. In his 2011 BBC Radio 3 programme The Inner Voice of France Norman spoke about "the sound of a chanson that's not just popular, its intensely personal, to everyone who hears it, it's a song that evokes a place, an encounter, a moment in your life. It might be sung by Edith Piaf, or Jacques Brel, or Juliette Greco - but the one for me who delves deepest into the collective unconscious, is almost unknown outside France, and her song is the story of millions of private lives, of the spirit of Paris, of the narrative of our times, of my lifetime, she's known as Barbara, though that's not her real name, she called herself, the Black Eagle, and she always wore black". Gender equality is, quite properly, a current preoccupation. So I will conclude this post, which so far has focussed entirely on women musicians, by shining a little light on Kudsi Ergüner. One of Rumi's best-loved poems is the Song of the Reed, and the ney is the end-blown reed flute immortalised by Rumi and played in the dhikr of the Mevlana Sufi Order. Born in in Diyarbakır, Turkey in 1952, Kudsi Ergüner has played a key role in keeping the tradition of ney playing alive as part of a vibrant spiritual tradition, and has fought against its emasculation by what he describes as 'eso-tourism'. 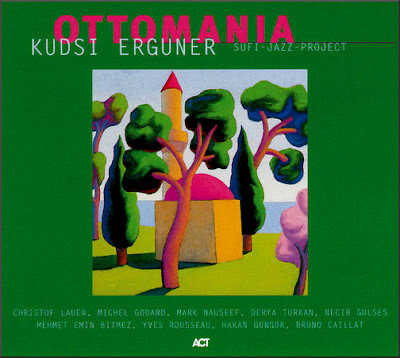 As well as performing and recording traditional Sufi music from Turkey, Kudsi Ergüner has worked with an eclectic group of creatives including the theatre director Peter Brook, choreographer Maurice Béjart, electronic music pioneer Thomas Kessler, and trans-cultural musician Peter Gabriel. He has also explored the possibilities of jazz - a genre lamentably ignored by today's music monkey mind. 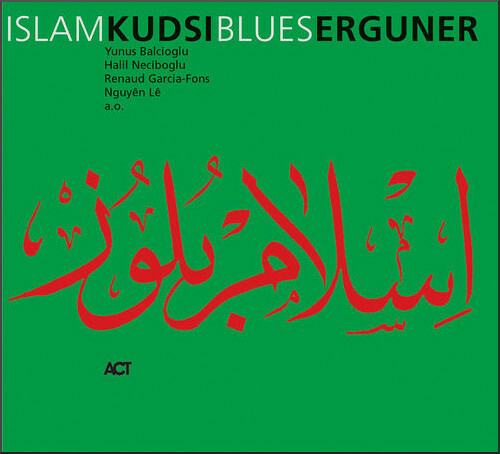 Two albums from Kudsi Ergüner's overlooked Sufi jazz project are featured here. Ergüner's contempt for eso-tourism extends to a contempt for fusion projects that are no more then exercises in musical eso-tourism. His Sufi jazz project does not set out to span Eastern and Western comfort zones: instead it aims to break down cultural comfort zones. Like Elizabeth Maconchy's quartets, this is music that does not take any prisoners. The albums were recorded a decade ago for the German jazz label ACT in collaboration with other genre-defying musicians. 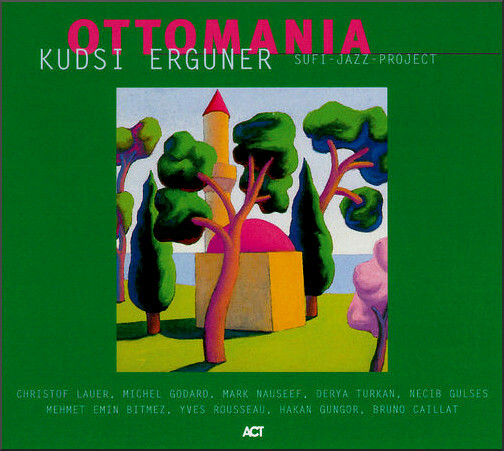 The line-up for the 1999 Ottomania includes tubaist and serpent player extraordinaire Michel Godard whose eclectic album Castel del Monte featured here in 2010, while the 2001 Islam Blues is underpinned by string bass virtuosos Renaud Garcia-Fons who appeared in my Art in the Age of Mechanical Reproduction post. This was a homage to Walter Benjamin whose influential eponymous essay makes the proposition that modern techniques of reproduction have destroyed the aura and authority of original art works. That proposition, and its extension to modern techniques of communication, is painfully relevant in the age of the digital monkey mind. It is my hope that this and other Overgrown Path posts encourage exploration beyond art music's ubiquitous next big things. * This date is not definitive as birth records were not kept in Egypt at the time. So an alternative date of May 4, 1904 for Om Kalthoum's birth is also sometimes used. Which is convenient: because if the BBC fails to recognise her in the Proms 2018 season, it has a second chance in 2024.